Whether you are looking for business offices, bookcases, modern office cubicles, executive office, storage cabinets, or simply looking for a business office design, we can help you. 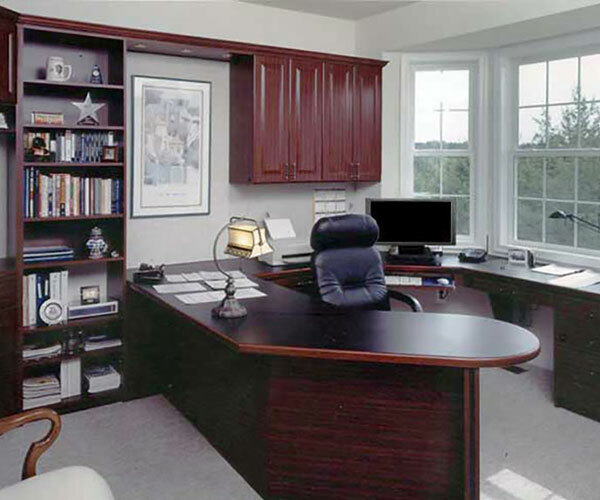 EDC has been building business offices since 1980 and we are well experienced in making business office systems. 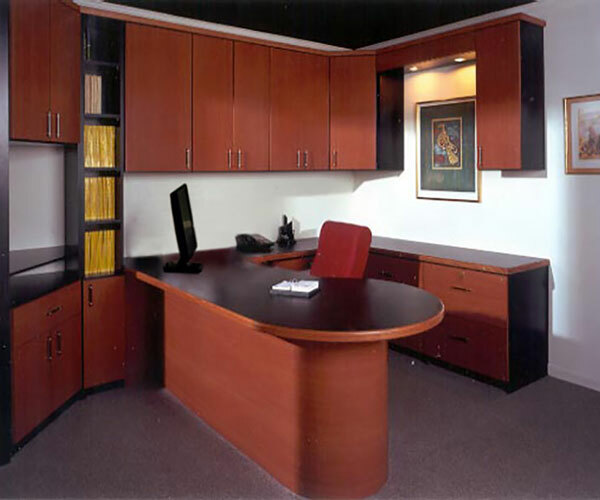 Our expert business office design team will utilize your space with storage cabinets, bookcases and more to give you the business office that will increase your productivity. No matter how big or small your space and requirement is, we can design practical business office cabinets. European Closet (Euro Design Center) has been serving Maryland, Washington DC and Virginia since 1980. We have installed thousand of beautiful closet organizers and Business Office workstations. Our highly trained closet designers will come to your house absolutely free and will measure and discuss your storage needs. Then we will send you a design with pricing. No business office storage system is complete without cubbies. Cubbies make document organizing extremely easy and it does not take a lot of space. Get enough cubbies in your overhead cabinets for easy storage and organization. 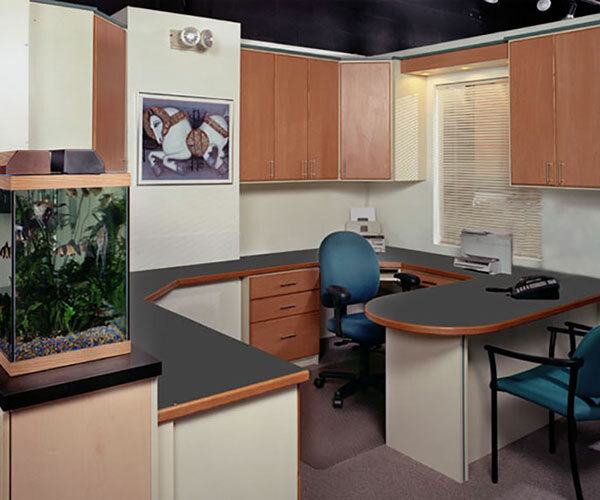 Our matching counter tops will add elegance to your business office. Every Business Office needs a beautiful reception desk. It is the first thing your customers see when they enter your office. A reception desk not only functions as a welcome center to your customers, it is also a location to show the prestige and success of your business. 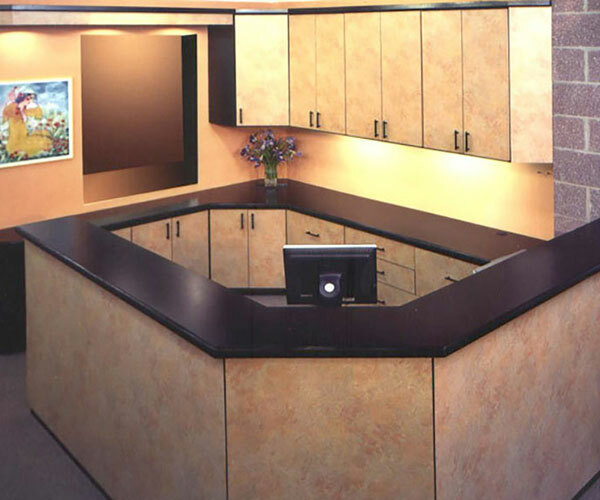 We have designed and manufactured many reception desks since 1980 in MD, VA, and DC. Your Business Office also acts as a display room for your customers. A beautifully organized business office display room can impress and even attract customers. Euro Design Center (EDC), European Closets Inc. specialized in manufacturing business offices and business office design. 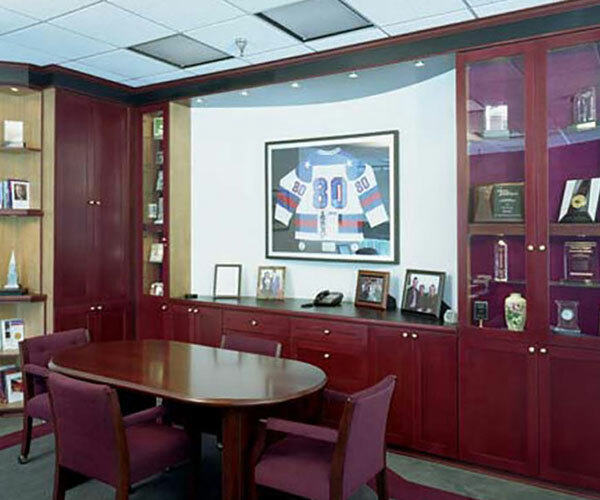 We build storage cabinets, executive office needs, modern office cubicles, bookcases and more. Choose from a vast collection of business offices designed by our highly skilled team. Our innovative approach can bring you the business office design for your office storage solution. Wood edge counter top colors elegantly blend with corner wall cabinets. We can make your business office elegant yet practical. We offer a wide variety of design options, material choices, color combinations, and hardware selections, so you can create functional, beautiful and economical Business Office System. At Euro Design Center customer satisfaction is our number one priority, and as a result we have over 6000 satisfied customers in Maryland, DC and Virginia. These Office File Cabinets have been placed over counter book shelves right opposite the office desk. The well planned Office File Cabinets let the user read the titles of books without getting off his chair. 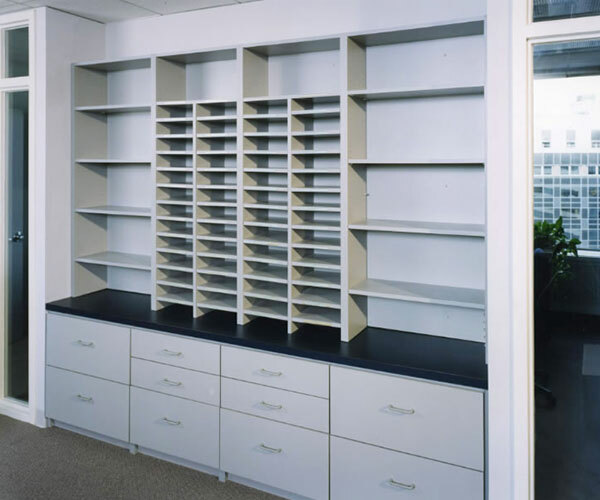 We manufacture paint grade Office File Cabinets and Office Shelving units, Wood Standard Office File Cabinets and Office Shelving units and MCP Office File Cabinets and Office Shelving units. 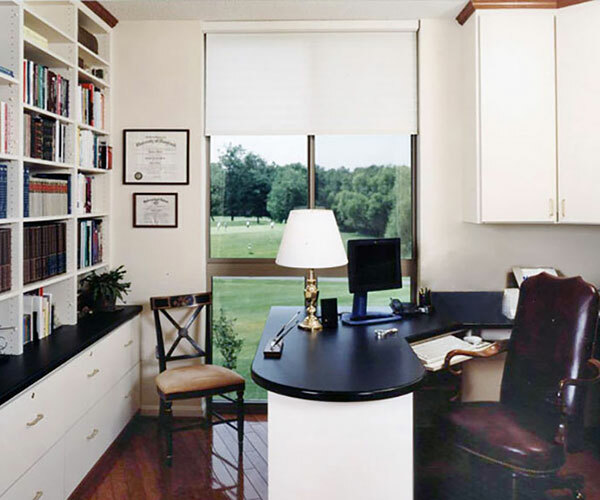 Whether you are looking for business offices, bookcases, modern office cubicles, executive office, storage cabinets, or simply looking for a business office design, we can help you. EDC has been building business offices since 1980 and we are well experienced to make the business office you are looking for. 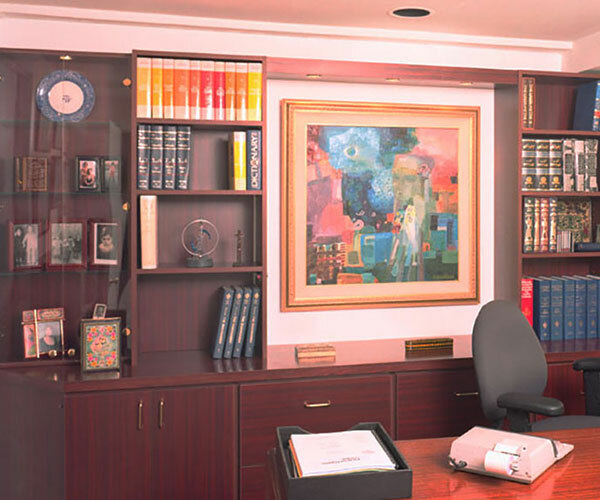 Our expert business office design team will utilize your space with storage cabinets, bookcases and more to give you the business office that will increase your productivity. No matter how big or small, you deserve to have the business office that will enable you to work from home. Give us a call today.